Racial inequality is not only systematic; it is also actively encouraged or passively tolerated by the state. Through strike action and demonstrations, the anti-racist 'Rosa Parks' collective seeks to challenge racial inequality in the name of the equality of all those affected by precariousness and abuses of the state. For this reason, argues Étienne Balibar, it is crucial to support the collective in the two days of action it is organising this Friday and Saturday. A wide range of anti-racist movements in France are organizing a two-day mobilization for Friday 30 November and Saturday 1 December. The ‘Rosa Parks’ collective has called for a mass ‘disappearance’ on the Friday, to show what France would be like without those subjected to racism, followed by a demonstration on the Saturday. 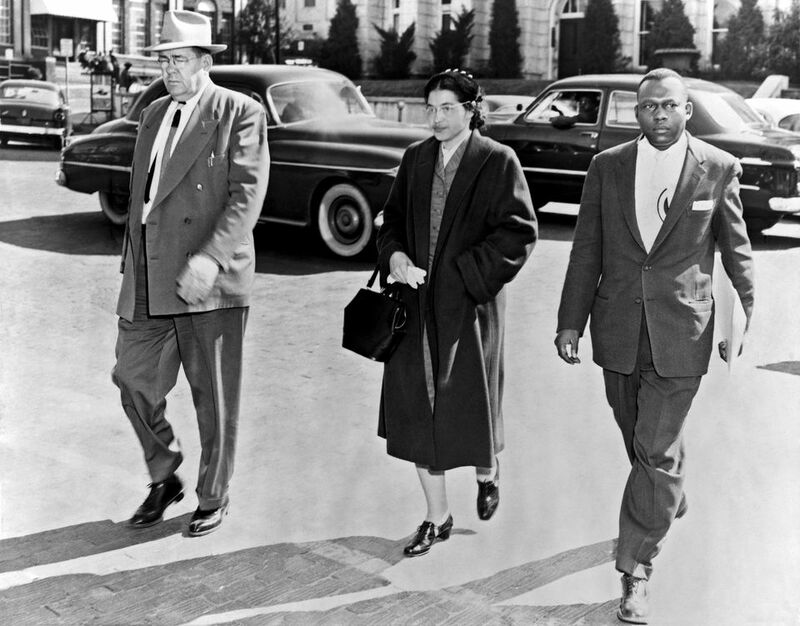 For more information on the two strike days visit Rosaparks.webflow.io. Thirty-five years after the ‘equality marches’ and thirteen years after the deaths of Zyed and Bouna in a Clichy electricity substation, and the ensuing revolt of the banlieues, a collective named after Rosa Parks, the famous civil rights heroine, has put out an appeal: ‘30th November without us! 1st December 100% us!’  In other words, after drawing attention to the gap that their absence from social life would mean - through strikes or abstention - those who define themselves as ‘heirs of colonial immigration’ and ‘victims of racist speech and action with a systematic structural character’ will reappear to ‘occupy the squares’, demanding ‘equality and dignity for all’. I hope that this original initiative will be a success, and here is why. The language it uses, that of ‘political anti-racism’, will certainly not be unanimously accepted. But it strikes the right note, making the voices of those who suffer daily from racist violence in our ‘land of human rights’ heard loud and clear. It can be endorsed by anyone, citizen or resident, who wants to join in or support them out of solidarity and concern for our common future. No one doubts that racism is a complex phenomenon. Its many forms, convergent or divergent, are unevenly distributed throughout the world and over time: caste contempt, xenophobia, anti-Semitism, Negrophobia, anti-Arab and anti-Maghreb racism, Islamophobia, anti-Roma, anti-Indian, anti-Asian or anti-Latino racism, and increasingly, violence against migrants... In addition, there are intersections with other forms of discrimination, particularly by class and gender. We should therefore beware of simplifications. I am not enthusiastic about the opposition between ‘racialized’ people, amalgamated into a single group, and a ‘white privilege’ that is actually very haphazard from one place or country to another, and appealing to which may also promote the kind of ‘identity politics’ that is now running rampant in Europe as well as the United States. But these precautions should not prevent us from naming the process of ubiquitous racialization: segregation of certain populations, discrimination against individuals on the grounds of their colour or origin, and finally dehumanization of entire groups through a denial of their history and a denigration of their cultures. Above all, the multiplicity of forms of racism is nowadays subject to a triple over-determination that concentrates and intensifies it to an intolerable degree: by assignment to territories (so-called ‘quarters’) in which public services are dismantled and the social insecurity of unemployment and poverty constantly grows; by the way that the neoliberal state implements the ‘population law’ of globalized capitalism, playing off each different form of precariousness, nomadic and sedentary, against the others; by the imposition of ethno-cultural stereotypes in our postcolonial society, maintaining stigmatizations that resemble the old ones to the point of being mistakable for these. Because, it must be said, the French Republic has never learned the necessary lessons from decolonization, either in its foreign policy or in its perception of its own people. Should we therefore talk about state racism? I am convinced that this is necessary, beyond partial equivalents such as ‘systemic racism’ and ‘institutional racism’, which do not really pinpoint strategic responsibility. Yes, state racism can exist and flourish, spreading throughout the population, even when it is not made official (although there are abuses of this kind in France, as shown by the emergency laws against displays of Islamic allegiance). It is sufficient, and this is decisive, for the state to tolerate or justify the violence practised by its constituted bodies (in particular the police) against populations identified by their ‘features’ or by their ‘specifically dangerous character’, and for it to systematically refrain, in the name of liberalism or even ‘civic equality’, from implementing policies to deal with what a former prime minister dared to call a ‘territorial, social and ethnic apartheid’, although this is what its principles would nevertheless demand. That is a crucial point. It shows that the anti-racist struggle, which must be constantly waged against the state or its representatives, must also be conducted within the state, in the broad sense that this organizes and establishes all social relations. That is why an initiative like the ‘Rosa Parks’ collective should be supported by voluntary associations, activists and elected officials, and converge with their own efforts inherited from the democratic tradition, internationalism and anti-colonialist struggles, even if the invention of a common language and allocation of responsibilities are not easy. Perhaps this will allow us to correct the terrible ‘slip-up’ represented by the recent decision to remove from the Constitution, not (as has been said or believed) ‘the notion of race’, but the prescription of equality ‘without distinction of race’. Let us therefore wish this initiative every success. Let us try to contribute to it. It is timely, it is peaceful, and it is responsible. Otherwise, as James Baldwin wrote in words whose sadness and anger resonate even in our country: ‘The fire next time’. See the full text of the appeal on the website: Rosaparks.webflow.io. A wide range of anti-racist movements in France are organizing a two-day mobilization for Friday 30 November and Saturday 1 December. The ‘Rosa Parks’ collective has called for a mass ‘disappearance’ on the Friday, to show what France would be like without those subject to racism, followed by a demonstration on the Saturday. This article was first published in Libération on 25 November 2018. It has been translated from French by David Fernbach.